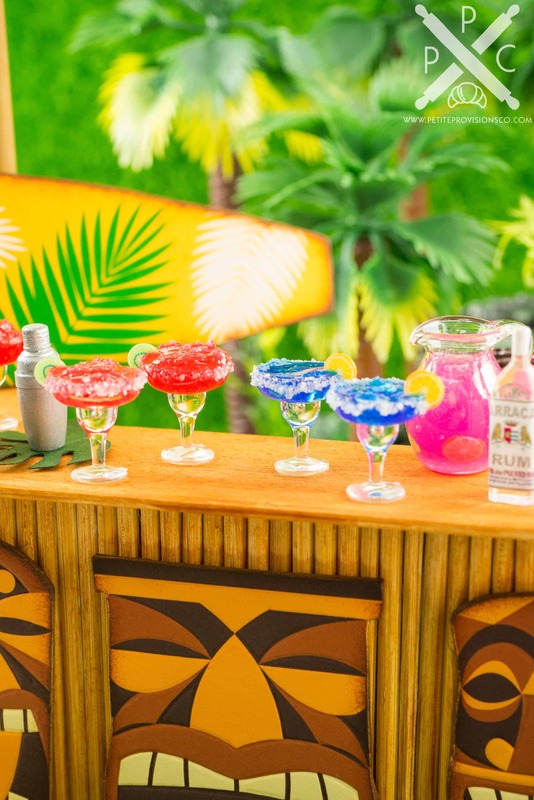 With summer right around the corner, I’ve been dreaming of a tropical getaway! 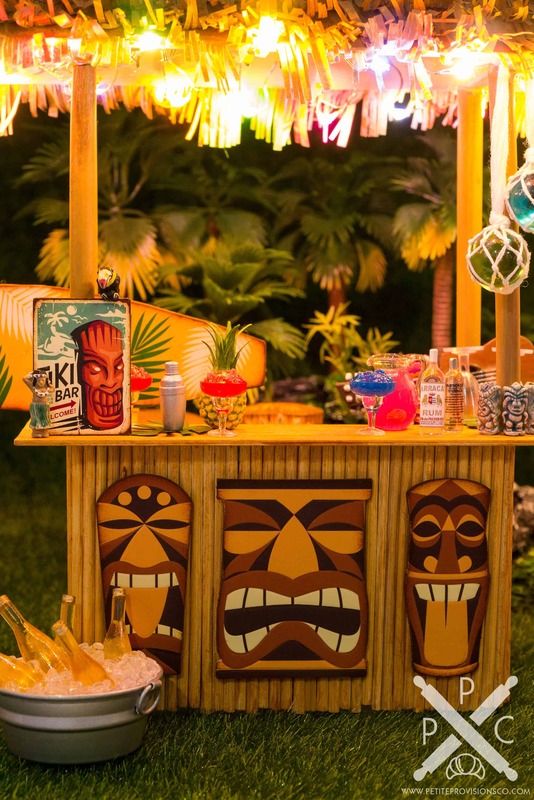 I envisioned a miniature tiki bar in Hawaii, surrounded by lush greenery and an oasis, and I got to work. 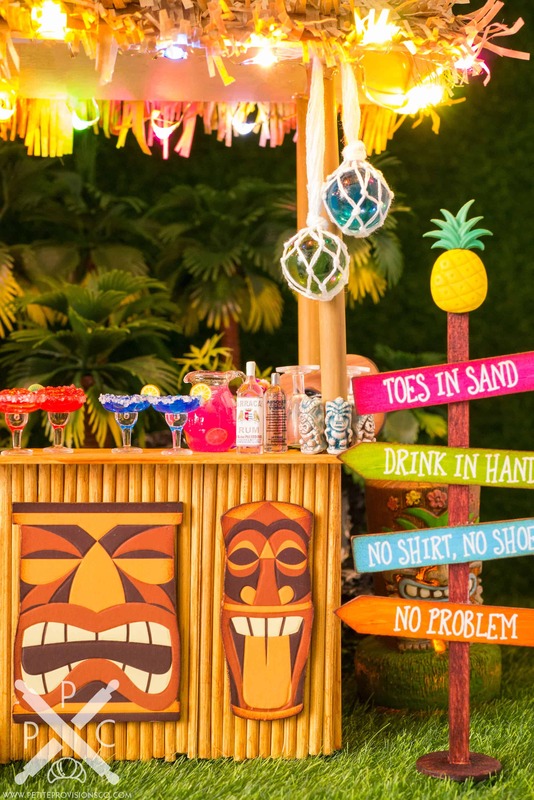 I built the entire tiki bar from scratch, and since building furniture and structures isn’t normally my strong suit, I’m absolutely thrilled with the end result! 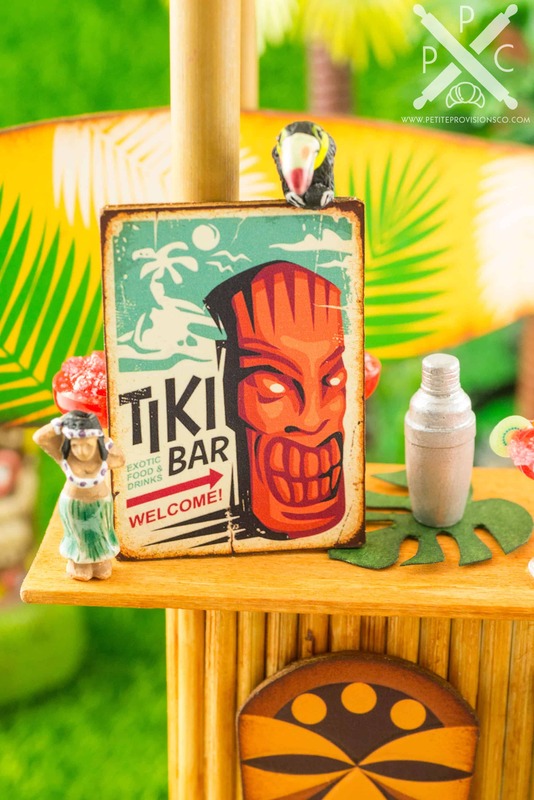 To complete the look, I wanted the tiki bar’s surroundings to be lush, green and tropical, so I landscaped a rock formation (complete with little waterfalls) with palm trees, bamboo and other green vegetation. For my first time landscaping in miniature, I’m very happy with how it turned out! 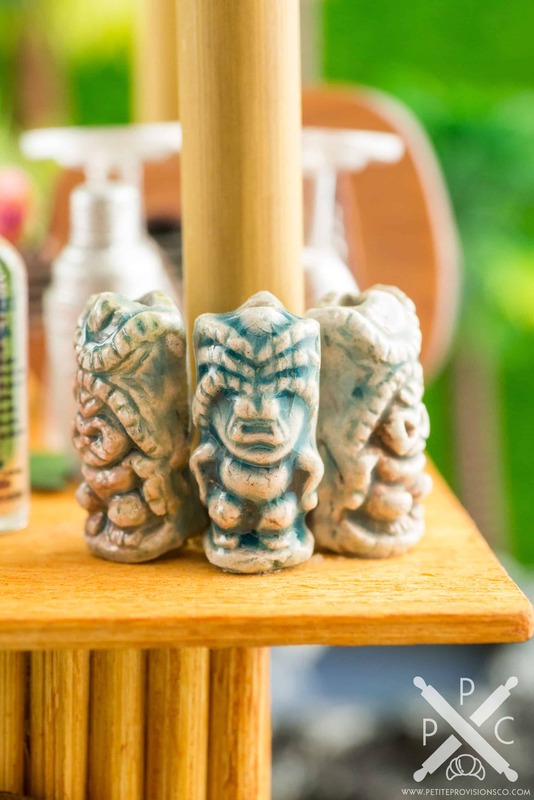 These adorable like tiki guys are ceramic beads I found at The Crafty Bead on Etsy! 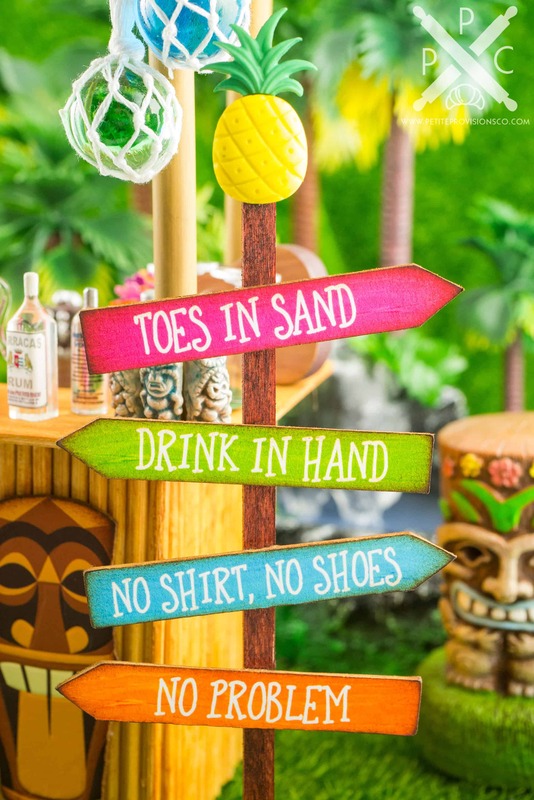 I just love this type of “directional” beach sign, so I created it in bright, tropical colors with fun sayings. The pineapple on top is a button, but it worked perfectly to give the sign a finishing touch. 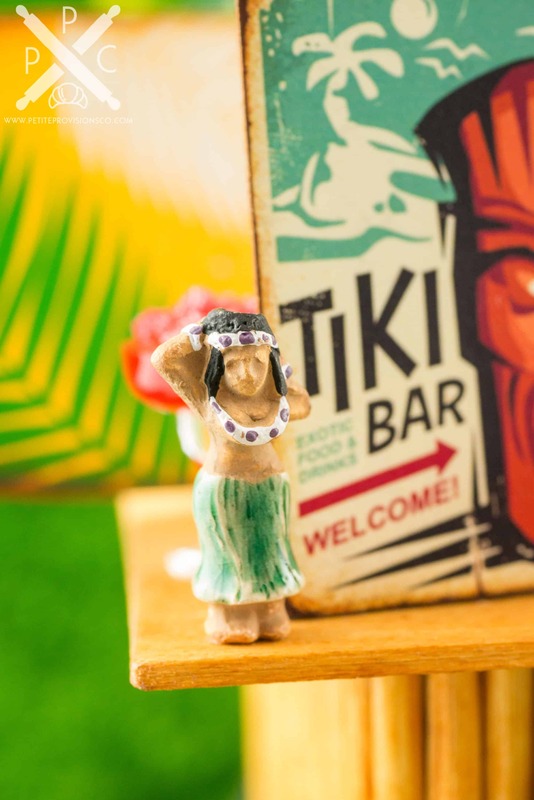 This tiny little hula girl and the toucan perched on the sign below are also ceramic beads. Aren’t they cute? And here it is after dark! I love how the colored lights look at night! 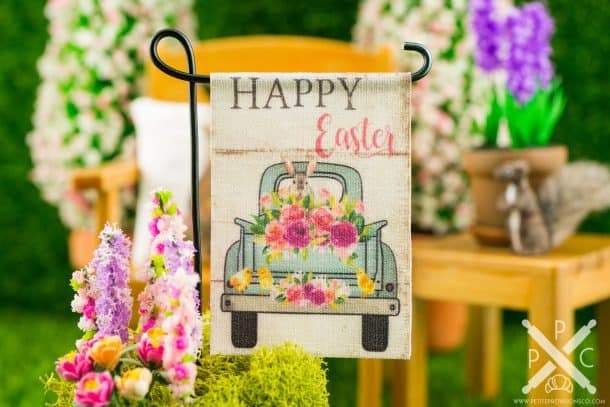 I hope you’ve enjoyed this mini tropical getaway! 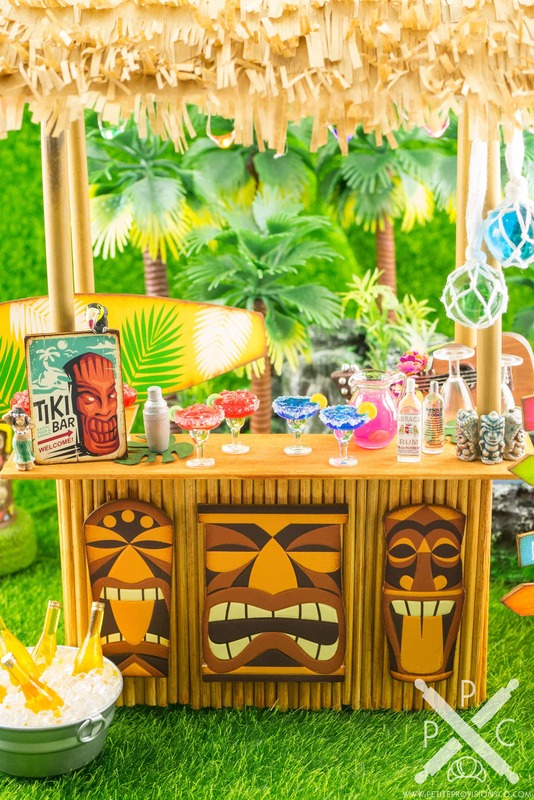 For your very own tiki-themed products, ranging from signs to tea towels to cocktails, make sure you visit the Summer section of my shop!